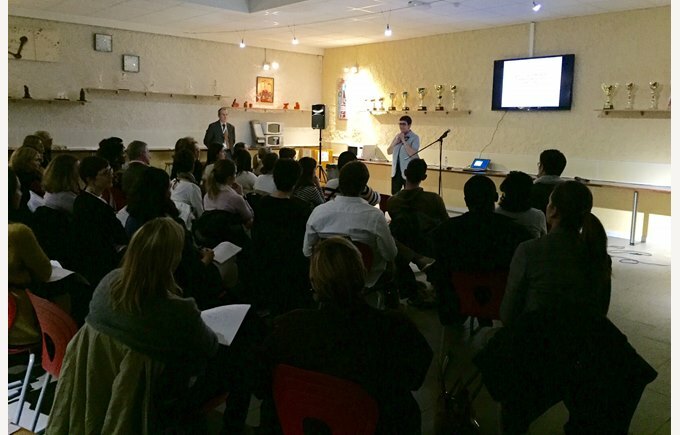 On Monday, November 16th, Collège Champittet had the pleasure to welcome Mrs. Christine Prudent for a conference about « How to say NO to a child ». Mme Prudent, Director of the Polychinelle crèche, education counsellor and person in charge of the monthly 'coffee meetings' among parents at the EPFL, explained to her audience how setting limits with natural authority can be possible and reassuring for children. The conference offered a better understanding of key terms such as "education" and "authority", exposed diverse communication tools and their impact on children, as well as the fine but significant difference between sanctions and punishment. Mrs. Prudent concluded by admitting that there is no magic formula and that educating our children is a blend of contrasting ingredients: failed attempts, repetition, but above all abundant love. Champittet would like to thank Mrs. Prudent for her time and precious advices.